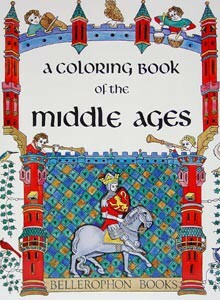 A Coloring Book of the Middle Ages. From little marginal figures of medieval manuscripts, to King Arthur, Sir Lancelot, Charlemagne, Wm. Conqueror, Richard Lionheart. From Bellerophon Books.